Do you spend a lot of time managing schedules manually or with applications that are complex, not configurable or that required several manual intervention? If this sound like you, don't waste your time! 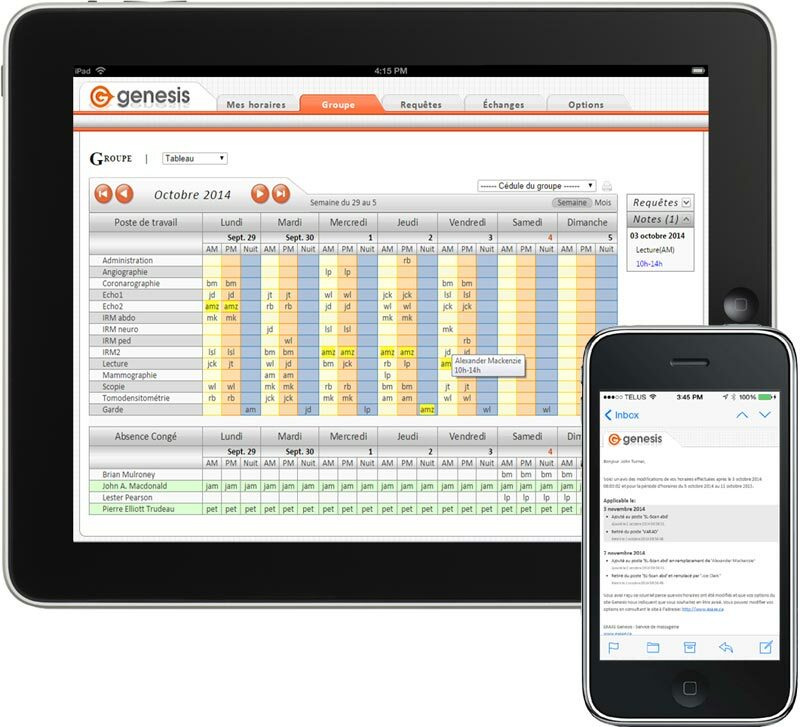 Genesis has an advanced scheduling platform that has been proven for many years. With it, you can control unlimited amount of constraints and rules. Reduction of more than 70% of the time spent managing schedules. Unmatched constraints and rules management. Centralized days off requests of your members. Publication and consultation of schedules through the secure website of Genesis. Simplified schedule posting when modified. Synchronization with mobile devices and smart phones. Get a return on investment.